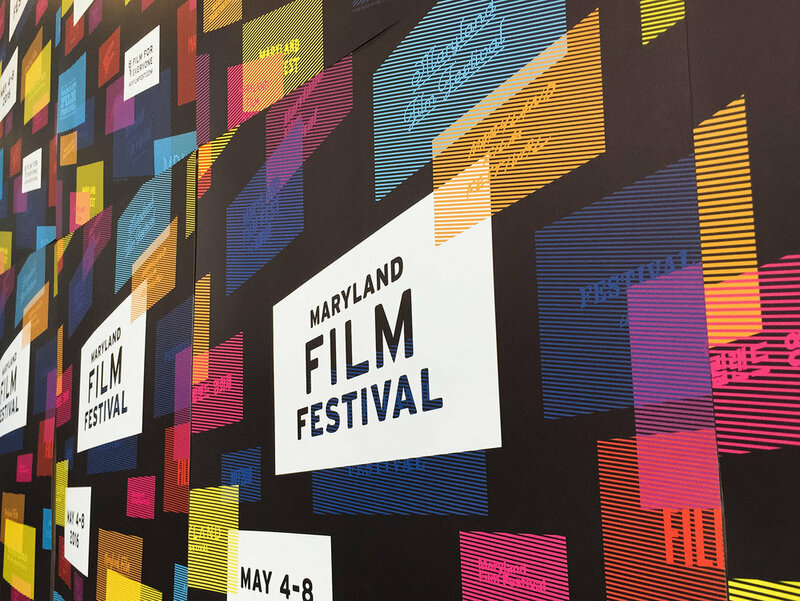 We represented Maryland Film Festival’s vibrant slate of films with an endless field of glowing “title screens.” Diverse type styles reflect the broad range of genres and movies shown at the Festival each year. Our comprehensive promotional campaign included designs for web, social, and print ads; posters and billboards; and even lawn signs. We worked with animator Phil Davis to conceive and produce this psychedelic, sci-fi, video trailer that played before each of the festival’s screenings. 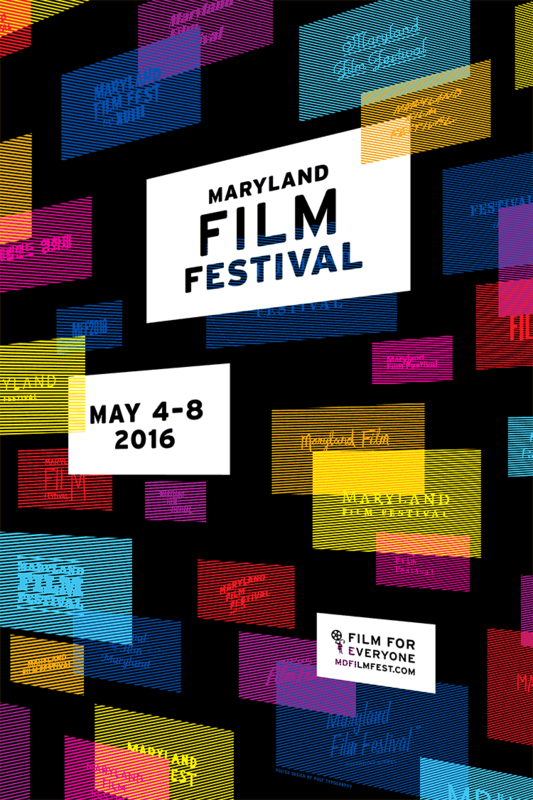 We adapted the 2016 Festival graphics to dozens of promo and for-sale items, including these water bottles. When filled, the water acts as a lens that magnifies the “Film” screen through the bottle.